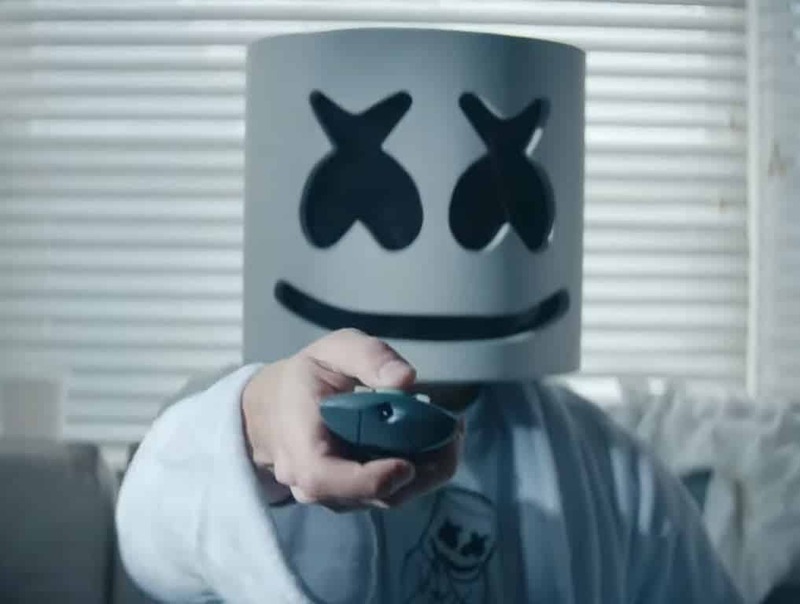 Marshmello continues to represent Fortnite as his new video flashes content from his historical Fortnite live concert. Fortnite took it’s live in game events to historical levels when popular DJ Marshmello hosted a live in game concert. Players who logged into Fortnite on February at 2pm were presented with a live Marshmello concert. The concert immediately went viral with millions tuning in to watch. Marshemello seems to have Fortnite in his DNA as his new video, Power, shows a quick glimpse of his Fortnite concert. There is no doubt that Marshmello continues to be one of Fortnite’s biggest supporters. The new Marshmello Power video shows him turning on his TV with the first thing picture flashing on the screen being his Pleasant Park Fortnite Concert. Two PS4 controllers are alos seen sitting on his TV stand. 26-year-old Marshmello is a rising star in the music industry and his partnership with Epic Games for a concert was a first. The world famous DJ exploded onto the Fortnite scene when he teamed up with superstar Tyler “Ninja” Blevins to with the first ever Fortnite Celebrity Pro-Am. Here is a clip of Ninja and Marhsmello winning the 1 million dollar prize for charity. 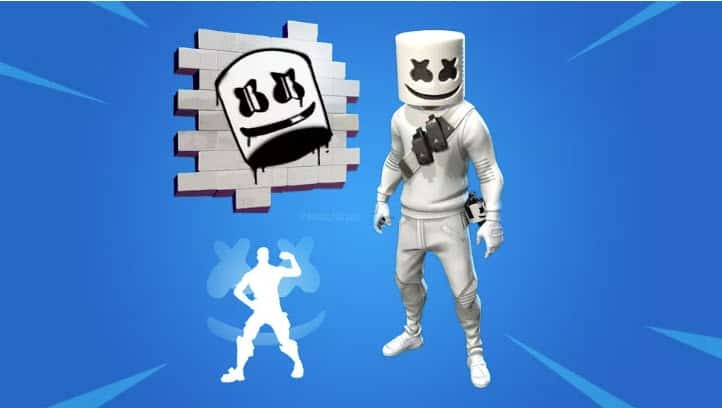 Marshmello Fortnite cosmetics where also a huge success as players continue to demand they return to the item shop. Outside of the attending the event live, over 600,000 Twitch viewers tuned into their favorite channels hosting numerous viewing parties. The event lasted 10 minutes and will be remembered as one of the best Fortnite event’s to date. Among his videos, Marshmello’s youtube channel has his own version of the live event. As of April 2019, the video has surpassed 30 millions views.